The post 2019 Triumph Tiger 800 XCA Launched in India @ INR 15.16 Lakh appeared first on Maxabout News. Triumph Tiger 800 XCA has been launched in India for INR 15.16 lakh. 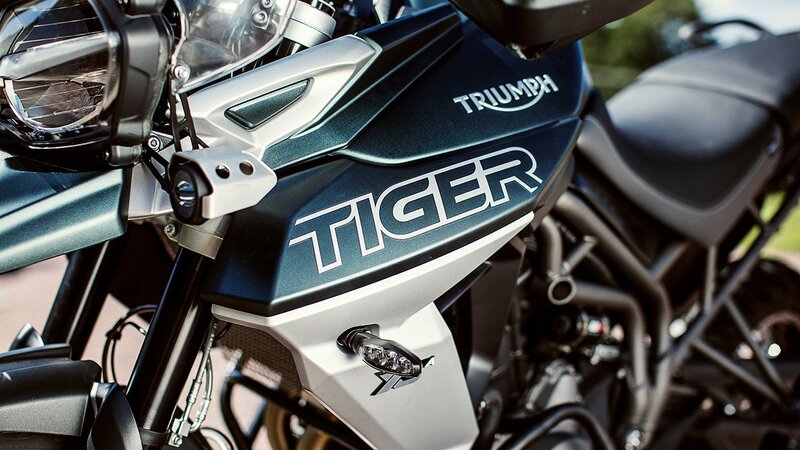 The motorcycle is notably the top-spec middleweight Tiger variant with distinctive features that help in performance-enhancement on the rough terrain. The booking amount for the model is INR 1 lakh while deliveries will start most probably in April 2019. The newly-launched Tiger 800 XCA rivals the BMW F850GS and Honda Africa Twin in a better way than all other variants. The motorcycle comes with multiple riding modes with an option to create a personal setting also. Not just that, the front and rear wheel measures 21-inch and 17-inch, bringing 220mm travel at the front and 215mm at the rear. The 800cc, three-cylinder engine on the motorcycle is good for 94 HP and 79 Nm. The engine comes mated to a 6-speed gearbox. Triumph has officially announced that more than 1000 units of Tiger are already on the Indian roads and adding this practical new option will further help them improve sales by targeting off-road riding fans. 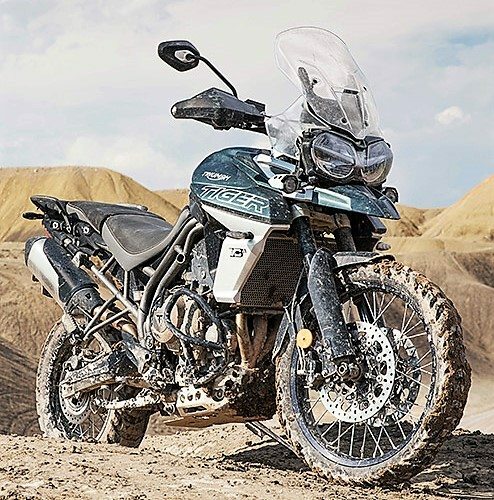 The Triumph Tiger series is also available with an Explorer variant that features a bigger 1215cc engine. The most powerful variant is good for 141 HP and 122 Nm. The base variant of Triumph Tiger is available with alloy wheels and limited wheel travel for extensive highway use and tarmac-based riding for longer than usual distances. 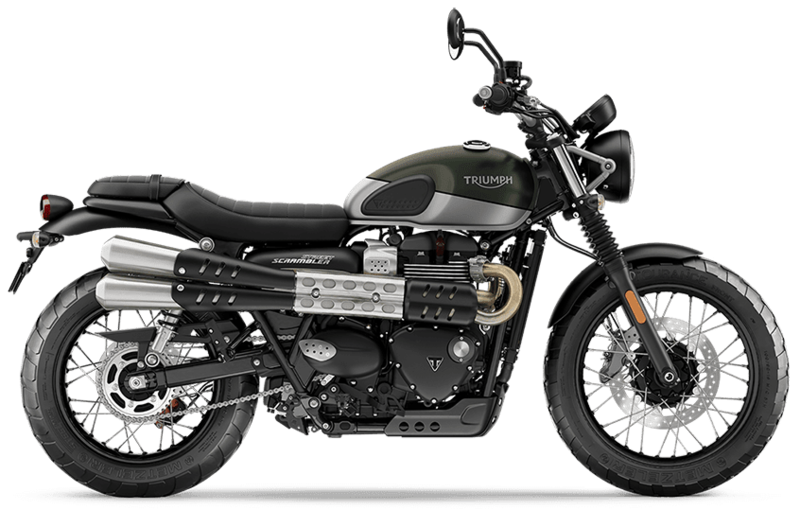 The post 2019 Triumph Street Twin & Street Scrambler Launched in India appeared first on Maxabout News. 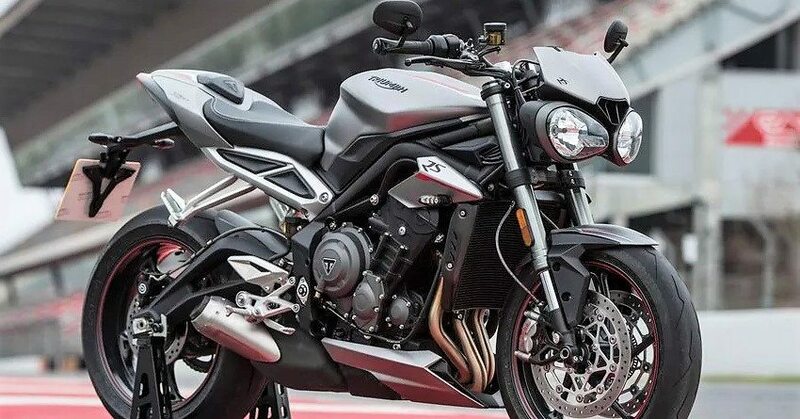 2019 Triumph Street Twin has been launched in India for INR 7.45 lakh. Not just that, buyers can also consider the 2019 Street Scrambler in India for INR 8.55 lakh. Both the prices mentioned are ex-showroom Delhi while engine upgrades are also common among the models. The 900cc, parallel-twin engine on the motorcycle is now good for 80 Nm of torque at 3800 rpm. The overall output is also similar, offering 65 HP of maximum power at 7500 rpm for both the Street Twin and Scrambler. The torque curve is flat in comparison to the 2018 variants while the overall increase in power is 18% (from 55HP on the older model). The Street Twin is available with Road and Rain riding modes while shades available for the same are Jet Black, Korosi Red, and Matt Ironstone. However, the pricing for the model has gone down considerably, offering the new variant for INR 25,000 worth lower ex-showroom price than the 2018 model. Street Scrambler, on the other hand, is now down by INR 5000 from its last price. The engine components now feature lighter crank as well as balancing shaft, light clutch, and magnesium cam cover. The 5-speed gearbox is as smooth as the older version while cosmetic updates are also limited to certain decals only. The 2-piston front Nissin callipers now make way for the 4-piston callipers from Brembo, improving the overall braking power for both the motorcycles. 2019 Street Scrambler can be had in Fusion White, Matte Khaki with Aluminium Silver, and Cranberry Red. The difference of INR 1.10 lakh brings a different set of tires, raised Scrambler exhaust, underbody protection and much more to the package. However, the use of spoke wheels on the Scrambler variant is more beneficial for those who actually ride on the rough patches than the decently-designed alloy wheels on the Street Twin. 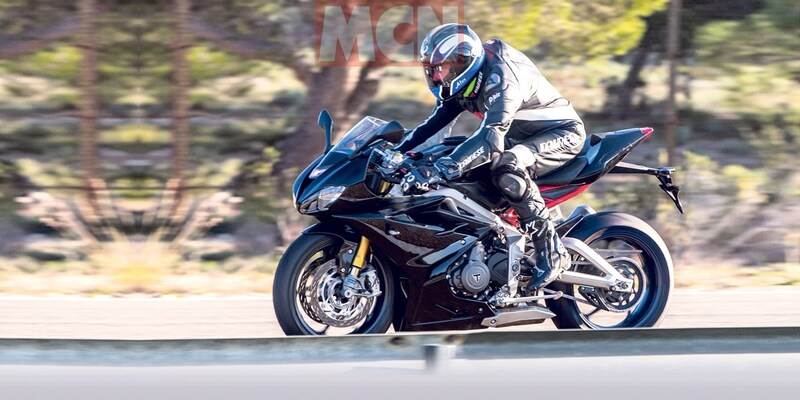 The post Triumph Daytona 765 Sports Bike Spotted Testing in Spain appeared first on Maxabout News. The post Meet Triumph Bonneville Street 500 Concept by SRK Designs appeared first on Maxabout News. 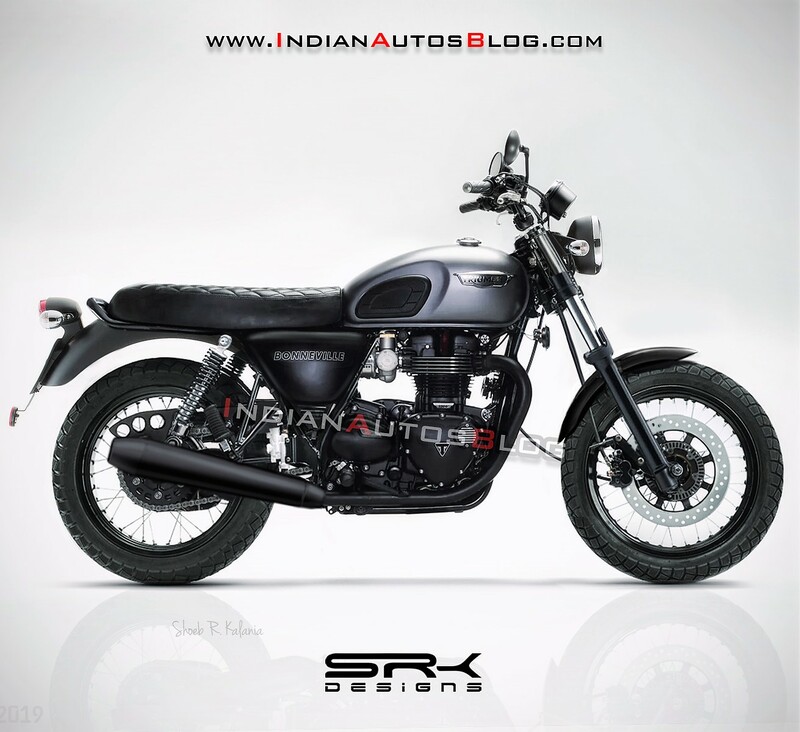 Triumph Bonneville Street 500 is another blockbuster digital render from SRK Designs, clearly showing every possible element discussed for the upcoming Bajaj-Triumph motorcycle by the fans through social media. 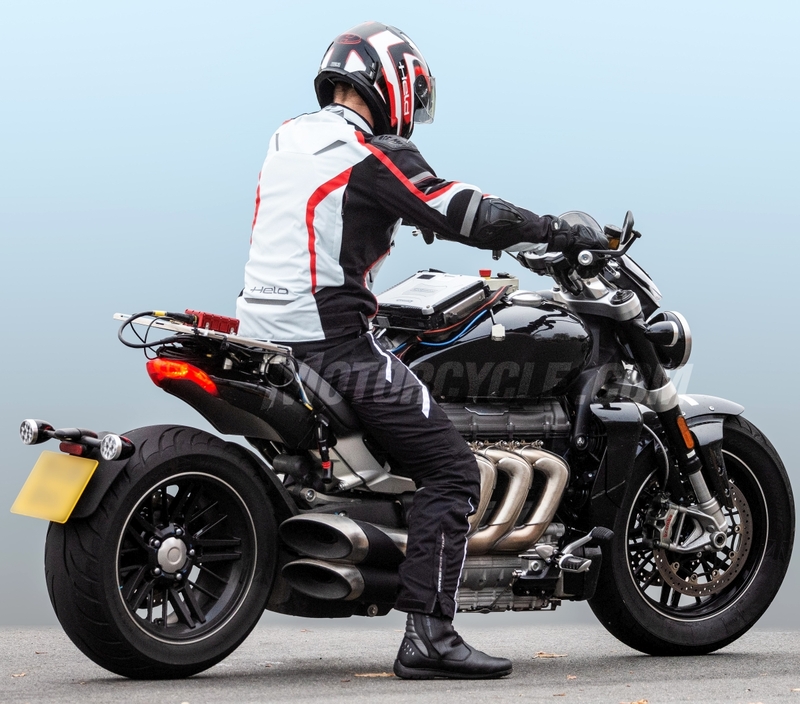 As highly expected, the motorcycle will focus on cost reduction by limiting the use of premium parts and downsizing certain options like the tires and suspension components. The front of the rendered Bonneville Street 500 comes with a basic round headlight and circular console while fender seen here is chopped into a compact one for style enhancement. On the other hand, the rear fender is thick and well placed to keep the design balanced. The fuel tank is resembling the Bonneville series design and adding knee pads brought a pinch of twist into the decent design. The motorcycle is imagined with spoke wheels, ABS-equipped disc brakes, iconic Triumph engine cover, and slightly raised exhaust. The basic shade for the engine cover, side panel, and exhaust has been kept black while the rear can be seen with dual shock absorbers for the suspension duties. 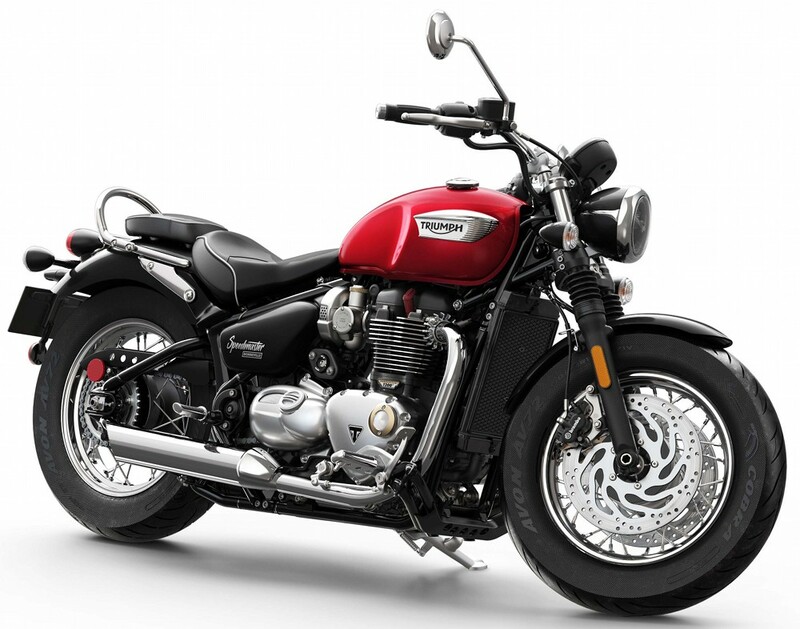 The motorcycle from Bajaj-Triumph alliance will be more or less similar to this image as Bonneville Street 500 is nothing short of an actual compact Triumph with Bajaj’s excellence of keeping the production cost low for India. The expected motorcycle will stay close to the 500cc section as placing a product right against the 650cc Twins from Royal Enfield is not a good idea. Bajaj Auto is currently using the 373cc motor for their flagship product but developing a bigger engine can also help them raise the benchmark by a few more points. The alliance will function in the same manner as BMW and TVS venture as both will try not to enter each other’s territory at any cost. The post Bajaj-Triumph Agreement Delayed, 1st Bike to Launch by End 2020 appeared first on Maxabout News. The post Next-Gen Triumph Rocket III Leaked in a New Set of Photos appeared first on Maxabout News. 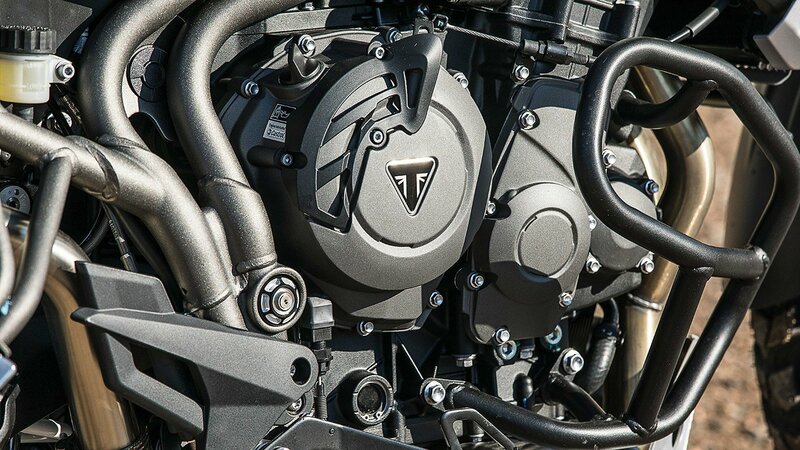 Triumph Rocket III holds the title of carrying the world’s largest motorcycle engine under the fuel tank. 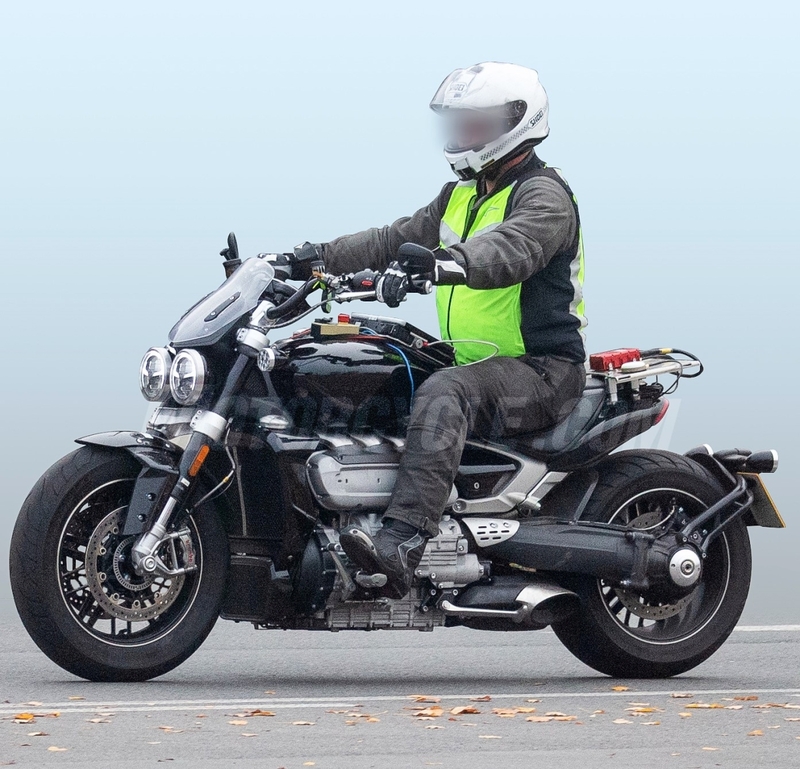 It was discontinued from the Indian market and internationally, the model is ready to receive a complete overhaul in 2019. 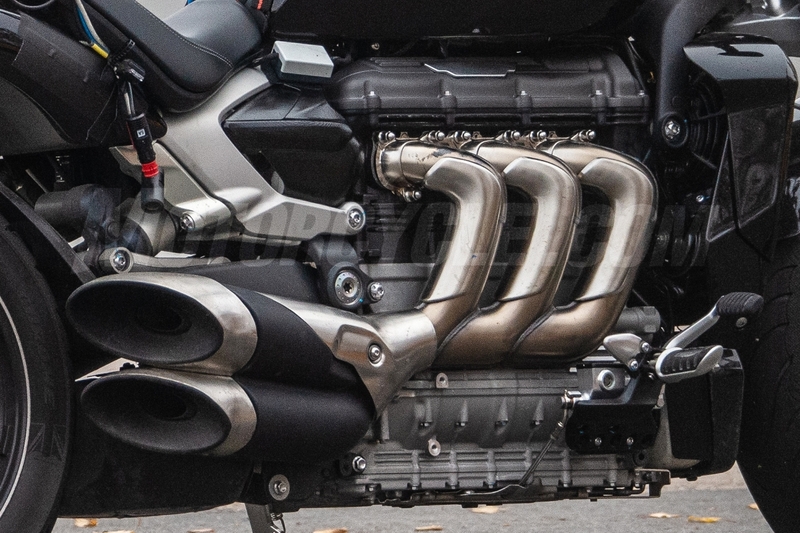 The next generation Triumph Rocket III is preparing itself for a new frame, design enhancement and a bigger than ever 2.5L, three-cylinder engine. The new motorcycle was first revealed to the dealers in October while an uncamouflaged test mule was recently spotted on the public roads. The new 2.5L inline-3 engine is said to generate a massive 180 BHP and 230 Nm of torque. The maximum torque is available at just 3000 rpm. The design details reveal a huge fuel tank, bigger than ever engine cooler, massive USD front forks, dual Brembo M50 front disc brakes, huge seat with enough padding to absorb the vibrations well and almost negligible rear seat size in comparison to the front seat. The twin headlight design is still very impressive for a flagship cruiser. Triumph Rocket III rivals none other than Ducati xDiavel in the country. Even this competition is indirect in comparison with the Rocket due to the huge difference in engine size for both the bikes. Even Harley cruisers feel light in comparison to the new Rocket. The exhaust design closeup reveals a premium metallic finish for the motorcycle. The single-sided swingarm, traction control, cornering ABS and riding modes guarantee impressive performance from the motorcycle. The best ever factor for Rocket III is that is will be made lighter to achieve better overall control than just drag-style performance. The international launch will open the doors for Triumph Rocket to India and thus, those loving huge cruiser and unique engine size can get their hands on the new model in 2019. The design upgrades will help Triumph get an improved overall stance and better overall performance. The last-gen variant weighs 367 kg. 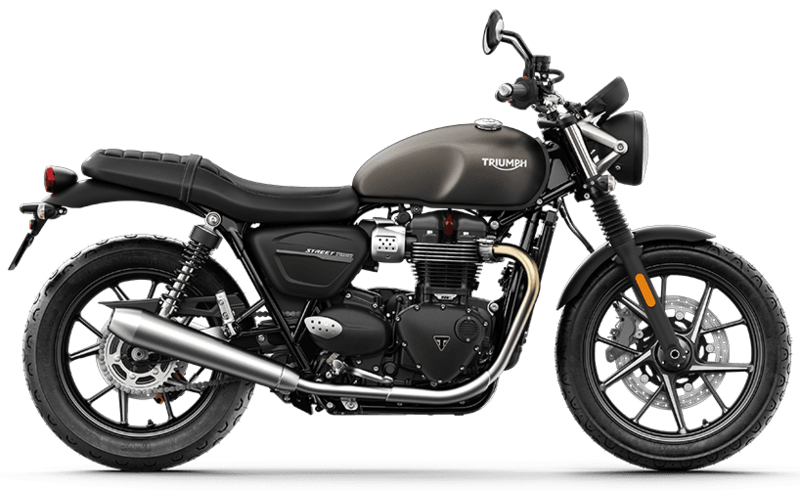 The post 2019 Triumph Motorcycles Price List in India appeared first on Maxabout News. 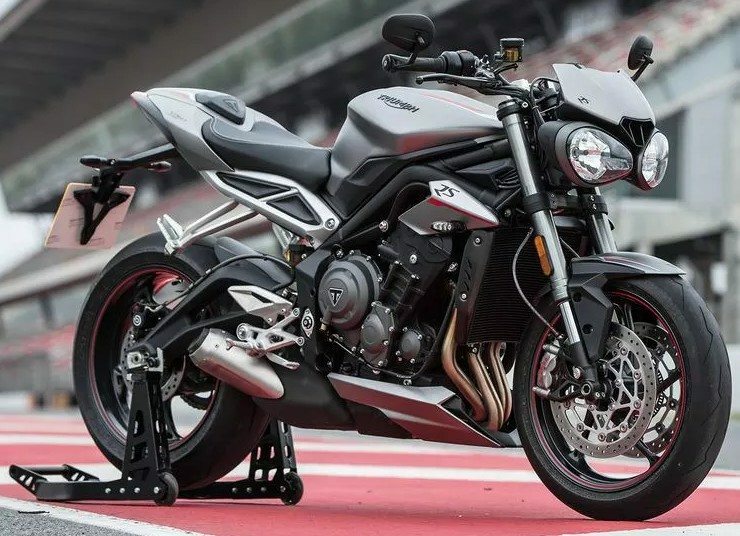 2019 Triumph Motorcycles Price List: Triumph is one leading premium motorcycle manufacturer with a range of motorcycles starting from INR 7.70 lakh. The range stays practical as the most expensive Triumph motorcycle costs INR 17 lakh. The complete lineup is divided into three different monikers, with Bonneville being the most diverse of all. The Street series is available with a single motorcycle (two variants based on the same engine) while Tiger series can be had in four variants and two motor options for the ease of off-road riding. The Tiger range starts at INR 11.99 lakh while top-spec Tiger 1200 costs INR 17 lakh. The Bonneville range of motorcycles is using twin-cylinder 900cc and 1200cc engine options, producing massive torque output for both the engine sizes. The most powerful Bonneville series motorcycle is the Thruxton R, producing 97 PS at 6750 rpm and 112 Nm at 4950 rpm. The torque output is comparable to a litre-class sportbike, that too at almost half the rpm. The range also includes premium Speedmaster cruiser for INR 11.34 lakh. The 1200cc engine here is good for 77 PS and 106 Nm. Buyers looking for a fast street machine can get their hands on the premium Street Triple RS. The post Quick Comparison: Triumph Street Triple RS vs Yamaha MT-09 appeared first on Maxabout News. Triumph Street Triple RS vs Yamaha MT-09: The new model of MT-09 is priced at INR 10.40 lakh while Street Triple RS comes at INR 11.13 lakh. This makes both of them the closest possible rivals in the street fighter segment around INR 11 lakh. They share one more similarity as both brands have used 3-cylinder layout for their engine. Yamaha recently introduced the 2018 variant for MT-09 while Street Triple RS also entered the 2018 model year with this update. A personal choice for sure, the design of both the bikes is not what one expects from an everyday machine. 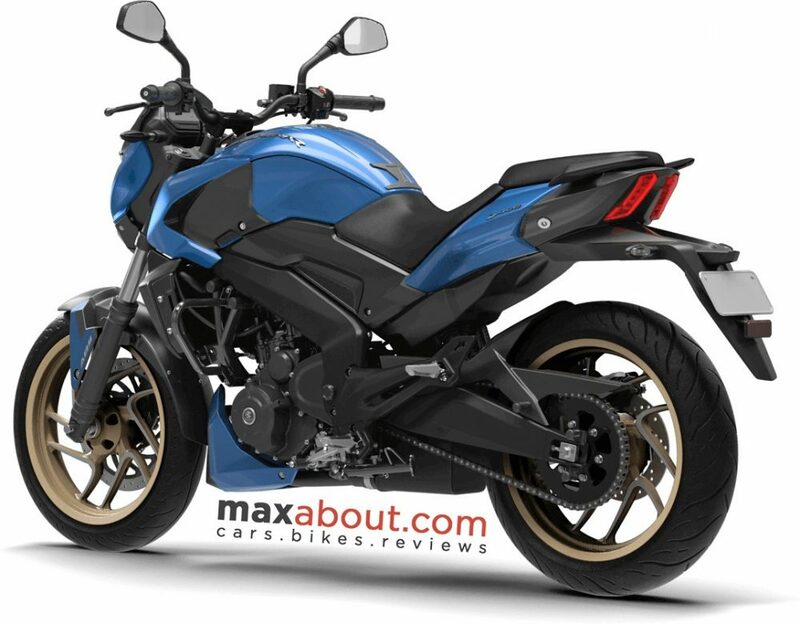 Yamaha MT-09 looks aggressive with its four projector fascia. 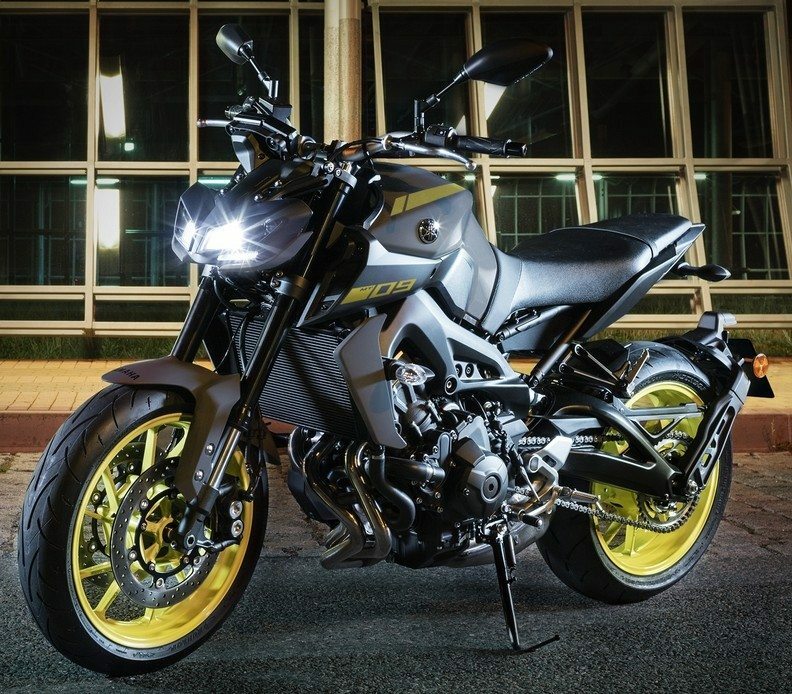 The styling is derived from the flagship MT-10 for sure. It looks impressive and perfectly proportionate from every angle. Triumph Street Triple RS is slightly unique in itself, carrying signature twin headlights at the front and gull wing sing arm at the back. It is not loved much for its design but still, few buyers will find it more impressive than anything else in this segment. 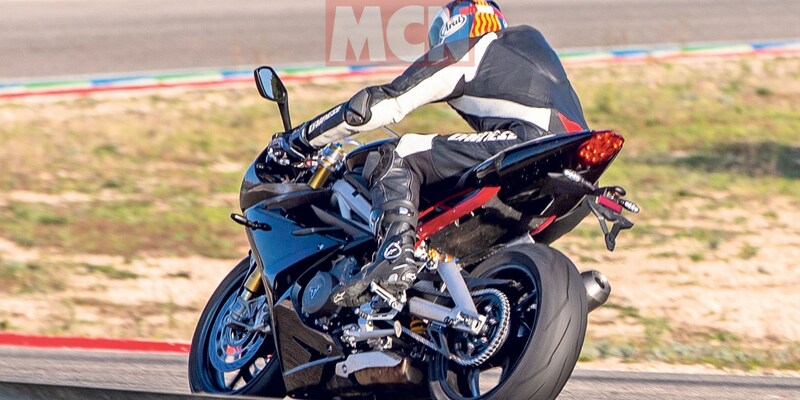 Bigger engine is not always better and Street Triple is here to prove this fact. RS variant for the motorcycle comes with 765cc, three-cylinder engine producing 123 HP at 11,700 rpm and 77 Nm at 10,800 rpm. On the other hand, bigger 847cc 3-cylinder engine on the MT-09 is good for 115 HP at 10,000 rpm and 87.5 Nm at 8500 rpm. Street Triple proves better in overall terms as it weighs less than the Yamaha MT-09 and revs to a higher range in all gears. Both the bikes have higher than usual seats and even wheelbase falls between 1410-1440 mm. Yamaha MT-09 gets a smaller 14-litre fuel tank while Street Triple RS is good for 17.4 litres of fuel carrying capacity. Yamaha offers more suspension travel but Triumph has made this version tighter on suspension terms for better cornering on the track. Both the bikes have identical tyre ratings and size. 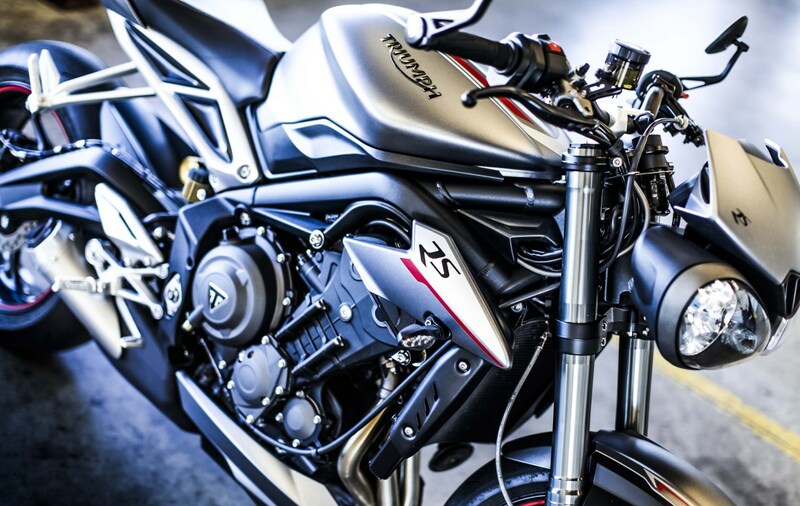 Triumph Street Triple RS is a winner in terms of components for sure. Starting with its Brembo M50 4-piston, dual 310mm brakes, Street Triple RS offers adjustable Showa 41mm BPF (big piston forks), Ohlins STX40 fully adjustable rear mono-shock and even single 220mm rear brake from Brembo. Yamaha keeps component benchmark lower in terms of suspension and braking. Still, they offer a quick-shifter (also in RS) and traction control for ease of performance riding. 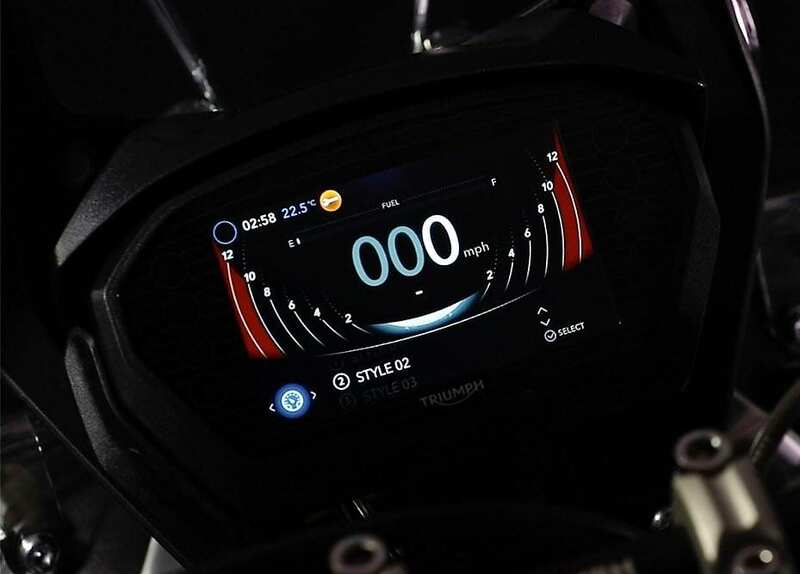 Triumph offers 5 riding modes with the new Street Triple RS. Apart from more torque and slightly better styling, Yamaha MT-09 has no reason to prove itself better than Triumph Street Triple RS. The new Street Triple RS brings the most looked out equipment for this price. It sounds great and even wins in terms of top speed. In general, both are madly accelerating machines while being specific for value to money makes Triumph Street Triple RS a winner here. The post Complete List of Triumph Motorcycle Dealers in India appeared first on Maxabout News. Triumph India is operating through 16 dealerships across India, covering every part of the country through an official store for all the riding needs. The two Delhi dealerships are managed by a single brand and thus, can be counted as one with same contact number but different physical details. The south region has the maximum number of touch-points while east has the least with only two dealership in Kolkata and Bhubaneswar. Here is a complete list of Triumph dealerships in India. B.U. Bhandari Automotive Pvt. Ltd. The post Latest Triumph Motorcycles Price List in India (November 2018) appeared first on Maxabout News. Triumph Motorcycles is one of the most popular brands in India, presently retailing its product portfolio through 15 dealerships across India. 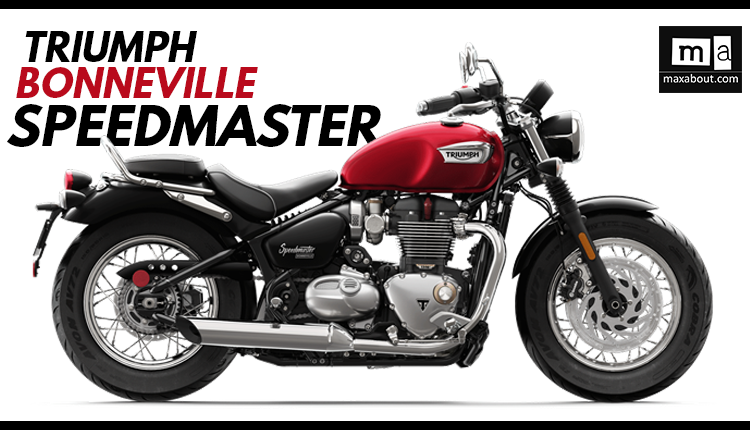 It rivals Harley-Davidson and Kawasaki India’s lineup through products like Bonneville and Street Triple. They also have unique Tiger series of motorcycles that offers unmatched off-road adventure and balanced on-road highway performance. Also, the Speed Triple is preparing for a 2018 update and will be back soon on the website. Triumph Street Triple is the most popular motorcycle after the entire Bonneville series, bringing good numbers to Triumph and further raising the segment benchmark with RS variant. Both variants differ by almost INR 2 lakh (on-road). Bonneville series starts with Street Twin at INR 7.70 lakh. It comes out as a retro-modern commuter with powerful 900cc, twin cylinder engine. The output is 80 Nm at just 3230 rpm, making it ideal for city riding and occasional highway cruising with added accessories. *Triumph recently discontinued the Rocket III and Thunderbird series in India. 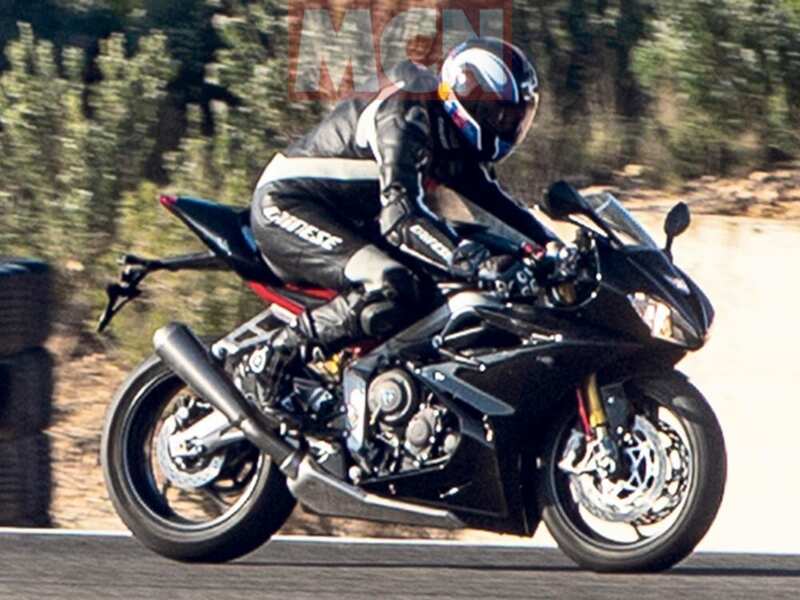 Click Here to know more about the Street Triple RS.